Buy a shirt to help support our girl Christie Fruits and the Fruits5! All funds raised will be paid directly to James Fruits for the needs of the Fruits5. A few weeks ago Christie went to the hospital for what she thought was a kidney infection, come to find out there were over 4 dozen cancer balls hanging out in her abdomen that led us to a final diagnosis of endometrial and ovarian cancers. On March 5th Christie will start chemotherapy. Through this all Christie has stated that she feels fear, but she does brave. She has drawn strength from Ezra 10:4 that says "Arise for it is your task, and we are with you. Be strong and do it." 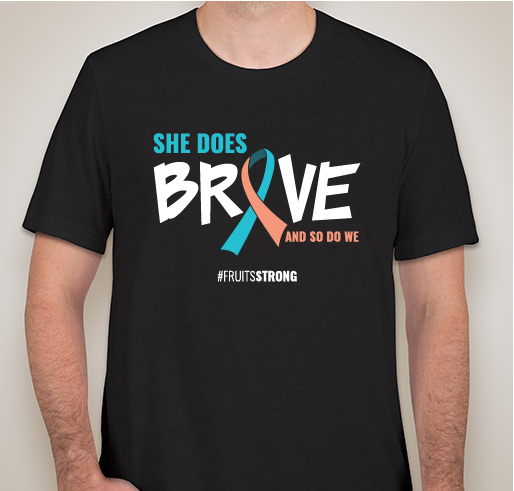 Please help us join our warrior, Christie, in this fight by purchasing a shirt to represent how you stand with her! 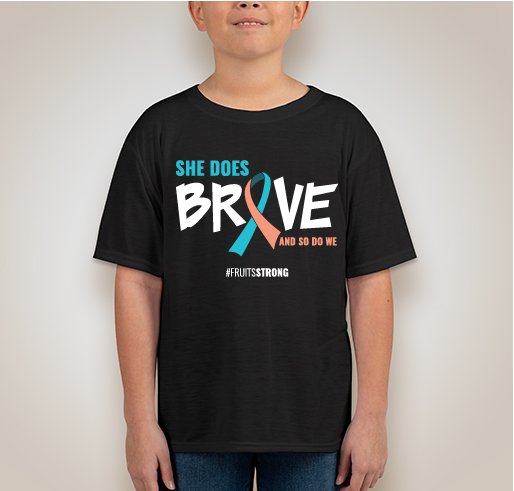 The colors on the T-shirt represent her cancers: teal for ovarian cancer and peach for endometrial cancer. ALL proceeds will go to the Fruits5 to help them pay medical bills and support their family through the next few weeks and months. Thank you, in advance, for your love, prayers, and support! Our prayers and thoughts are with you guys. Christie is so strong. You can do this! Because Christie (and Fruits5) is a very part of my heart. The Fruit’s family is a wonderful Christ loving family who I’m blessed to know! Christie stay strong -your prayer warriors are praying/fighting along side you!! 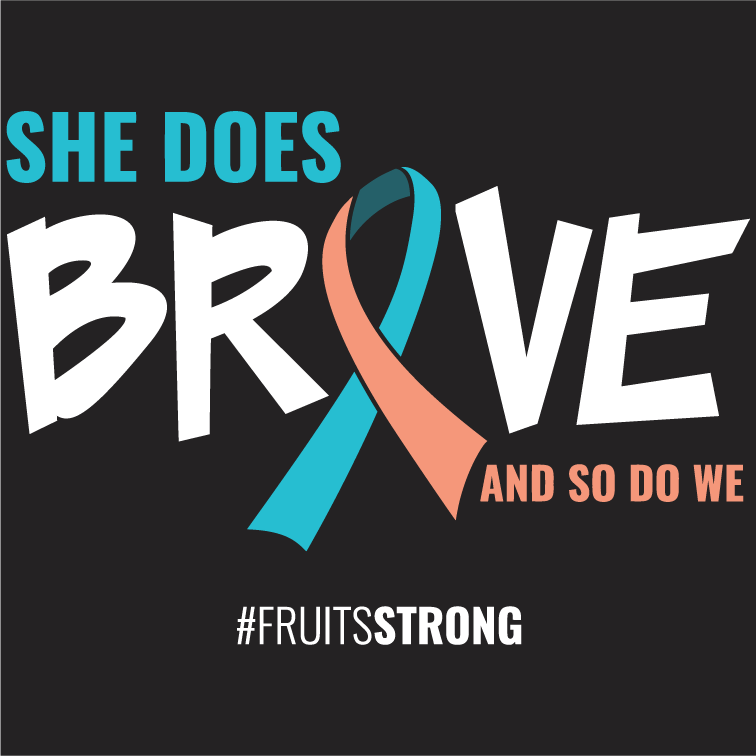 Share Why You Support ""She does Brave and so do we" #Fruitsstrong"